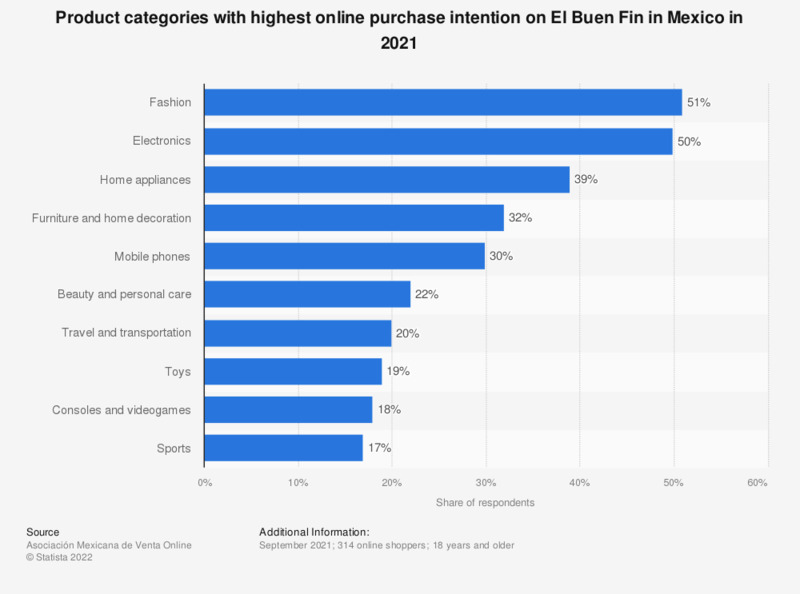 This statistic presents the share of internet users planning to shop online for selected product categories during El Buen Fin in Mexico in 2018. According to the survey results, 44 percent of respondents planned to purchase tech products during the shopping event. El Buen Fin refers to an annual shopping event in Mexico that takes place in November during the weekend prior to the Mexican Revolution holiday. Where do women get their clothing ideas? When you purchase small furniture articles, which behavior best reflects your attitude?